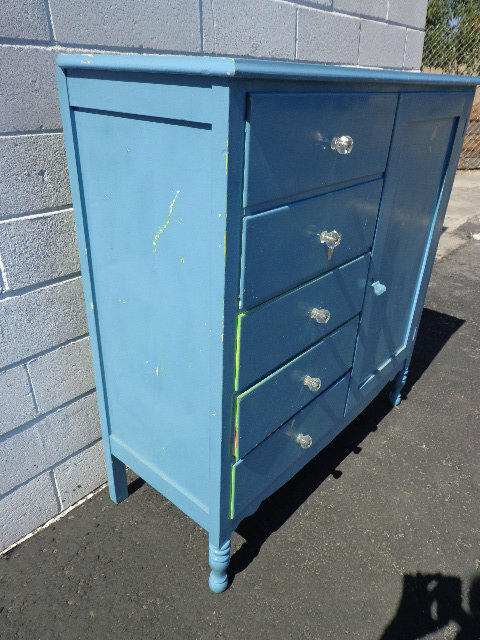 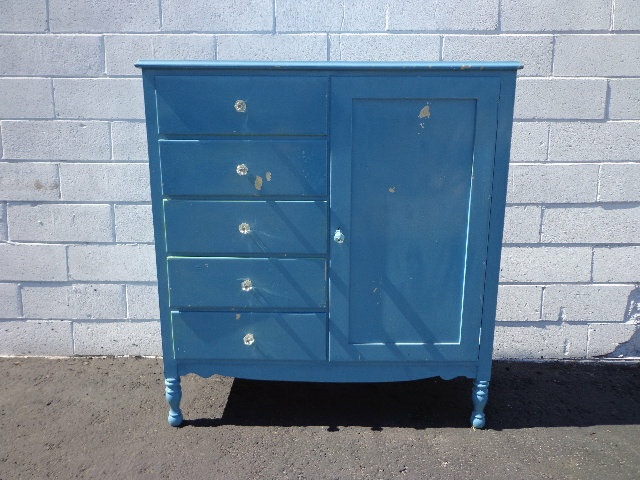 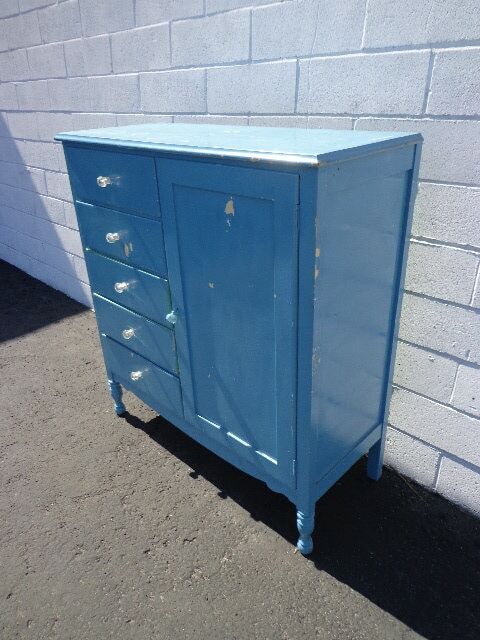 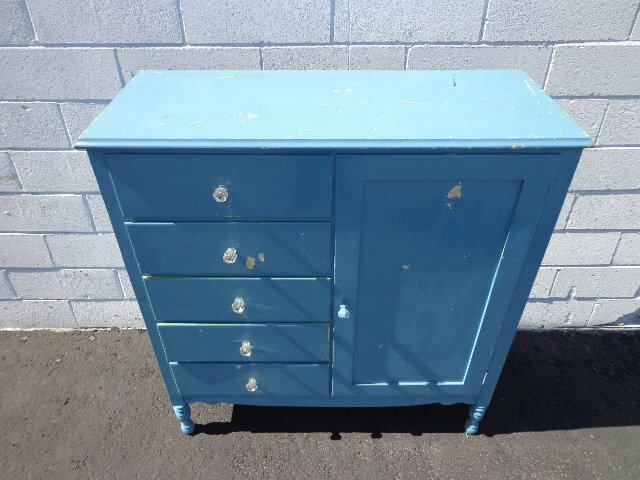 Charming 1940's armoire closet / chest of drawers / dresser. 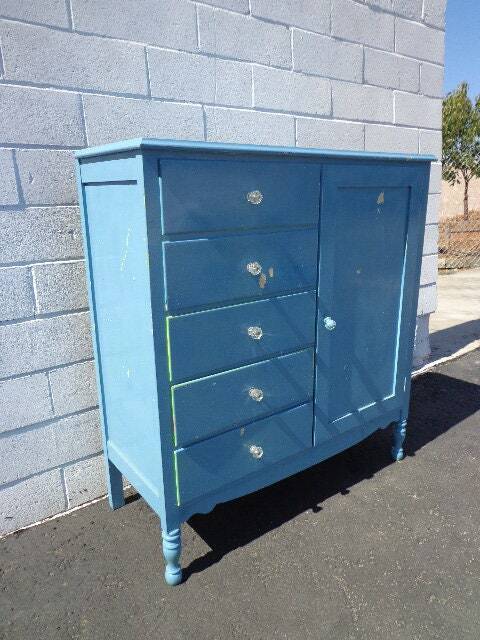 This is a versatile and transitional piece that offers ample storage and closet space. 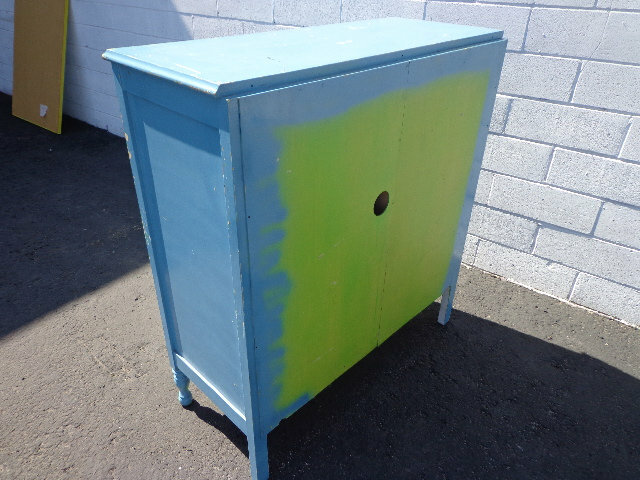 This is a solid piece that was painted by the previous owner and would great finished in a fresh, new color. 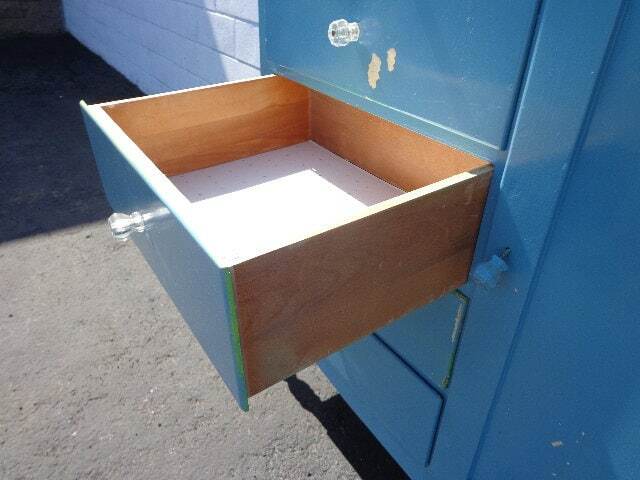 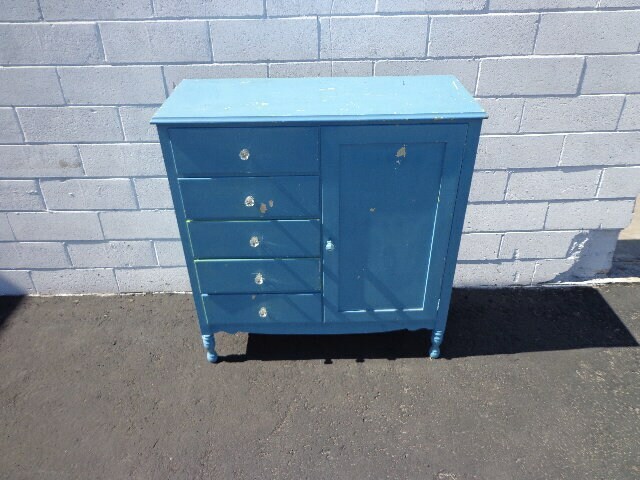 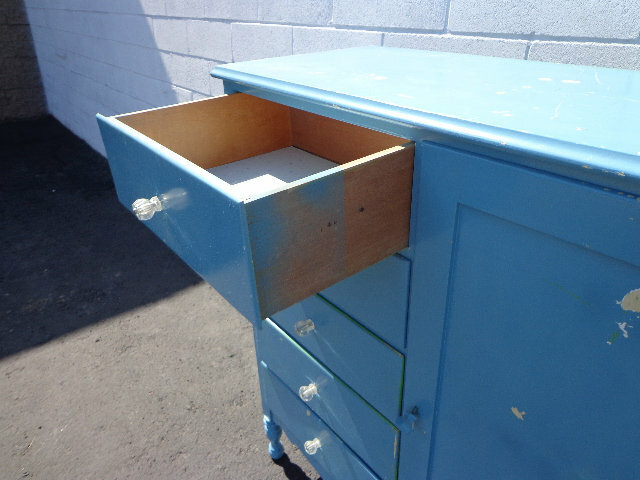 Perfect size for any room and could be used as a bedroom dresser , media console, storage cabinet, etc. 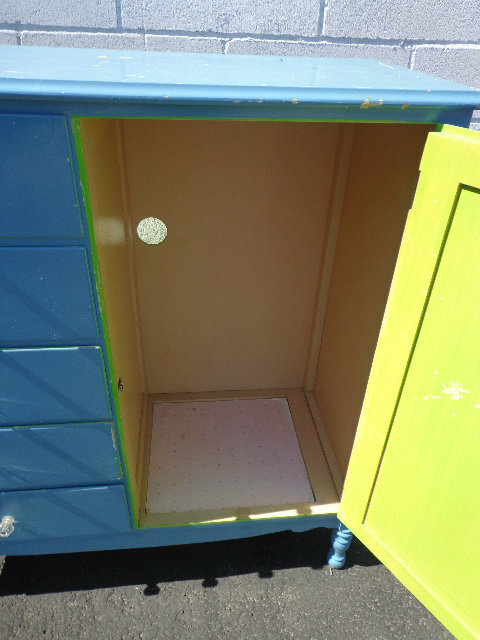 Dimensions: 39" x 17" x 41 1/2"